It wouldn't be an awards show without a few pop culture references, and the 2016 VMAs had Jimmy Fallon impersonating Ryan Lochte, which may have been one of the most timely jokes of the night. Fallon hit the stage to present the Video of The Year award, but not before taking a few jabs at the Olympic swimmer. Lochte was recently caught when he "over-exaggerated" (his words) an incident, claiming he'd been robbed and held at gunpoint while in Rio, Brazil for the 2016 Olympic Games. 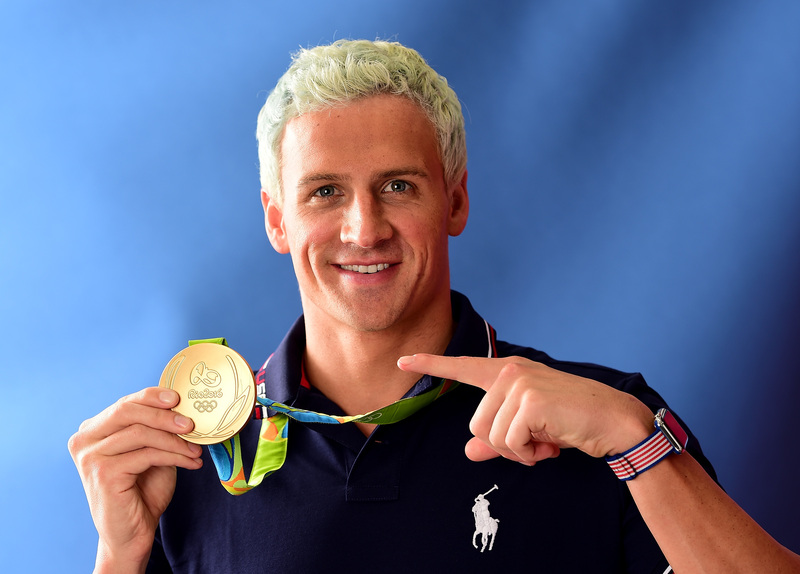 So, to mock the swimmer, Fallon-as-Lochte inflated a few music events to include himself. "That's my jam," Fallon said after singing a line from Justin Bieber's "Sorry" song. "It should be my jam, I wrote it," the comedian continued. "I directed all five nominees. What an amazing year I've had! I taught Drake the 'Hotline Bling' dance ... I made Lemonade with Queen Bey." After joking about his role in the industry, Fallon-as-Lochte poked fun at another part of Lochte's story. "Who had the best video of the year? I can't tell you that; they're all so great and so talented. I could never choose. I couldn't tell you even if there was a gun to my head... which there isn't." Lochte's teammate Michael Phelps seemed to love the bit, laughing when Fallon first came on stage and immediately taking out his phone to record it. How will Lochte feel about the joke? He probably won't be as happy as Phelps, that's for sure.